Asian School of Business / press-room / Asian Education Group’s 7th annual sports extravaganza, ATHLEEMA 2019 turns out a spectacular success! 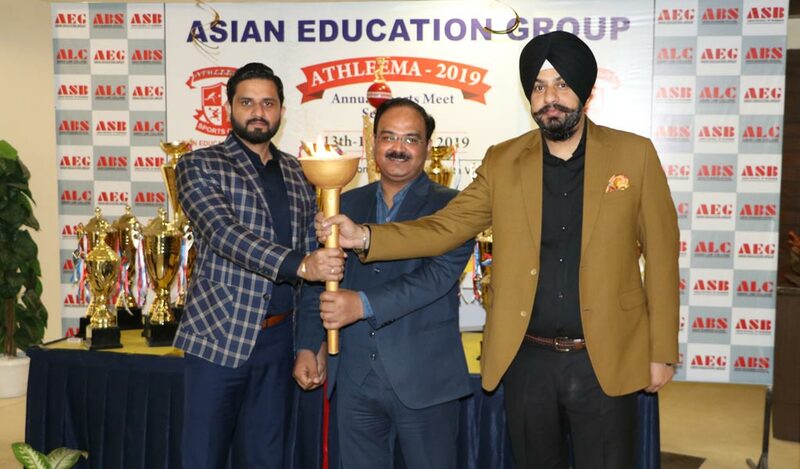 Noida, 16th March 2019: Delhi NCR-based one of the largest centers for management, IT, law and media education in Asia, Asian Education Group (AEG) organized its much-awaited 7th edition of the mega annual inter-college sports event – ATHLEEMA 2019 – on 13th-15th March 2019 at the imposing Jasola Sports Complex, New Delhi along with a generous punch of excitement and grandeur. The competition, like earlier years, sought participation from colleges, institutes and universities from across the country. In all, 35 top colleges and universities enthusiastically participated in this sports spectacle. 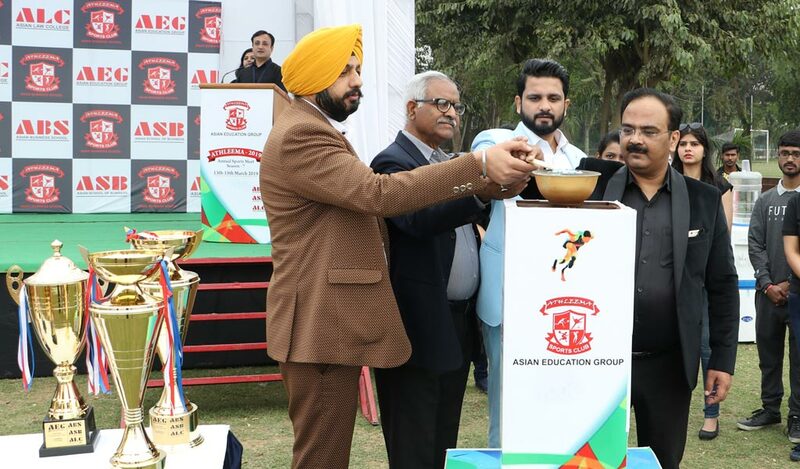 As far as Asian Education Group was concerned, all its three constituent group colleges – namely, Asian Business School (ABS), Asian School of Business (ASB) & Asian Law College (ALC) – actively participated in this high-pitch athletics’ meet. To begin with, as the ATHLEEMA-Season 7 was dedicated to the martyrs of Pulwama attack, the meet observed two-minute silence to commemorate the martyrs. Thereafter, the Inaugural function on 13th March 2019 started with the torch-lighting ceremony, ignited by the Directors AEG, Dr. Lalitya Vir Srivastava, Mr. Saurabh Sharma and Mr. Gurdeep Singh Raina. After this, the directors inspired the team with some zestful speeches. While Dr. Lalitya Vir Srivastava (Director, AEG) inspired the participants with his encouraging speech, Mr. Saurabh Sharma (Director, AEG) motivated the participants to inculcate the sportsmanship not just on the ground but also in their personal lives. Then, Mr. Gurdeep Singh Raina (Director, AEG) fostered the participants’ energy and Dr. Saleem Akhtar (Director, ALC) evoked the students to be true and honest in their actions. Games in which competition was held included Cricket, Volleyball (Boys/ Girls), Basketball (Boys/ Girls), Football, Table Tennis, Tug-O-War, Badminton, Chess, Carrom, Athletics (Shot Put & 100m Race), Kabaddi (Boys/ Girls), Kho-Kho (Boys/ Girls), and Pool. 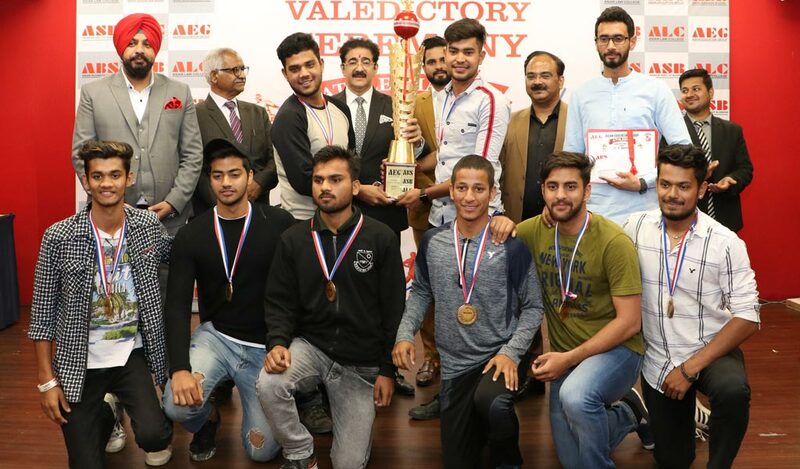 After two days of intense competitions at Jasola Sports Complex on 13th & 14th March 2019, the grand Valedictory function for ATHLEEMA-Season 7 was held on Friday, 15th March 2019 at the AEG campus in Noida to felicitate the students for their exemplary performance and zealous participation at the games. 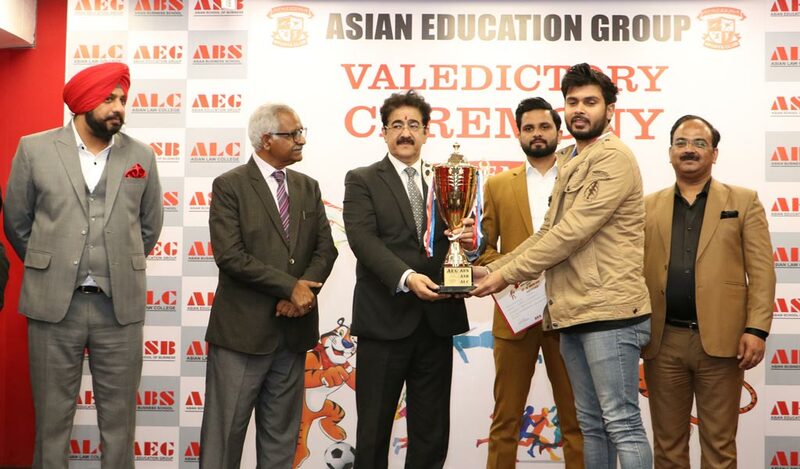 Prizes were given away by the well-known international media personality and AEG President, Dr Sandeep Marwah who aptly complimented and applauded the winners. A very special award – ‘Sportsperson of the Year Award’ for boys and girls separately – was initiated this year to galvanize students into adopting sports earnestly. This coveted award carried the prestige of being given to a student who was exceptionally active in all quarters of events and activities throughout the year and worked towards team building and motivation. The proud recipients of this prestigious award for this opening year were Kritika Pagrotra of ABS and Pranshu Tanwar of ALC in the female and male category respectively. The valedictory function came to a close with the vote of thanks delivered by Mr. Ravi Sharma, Dean-Corporate Resource Cell, Asian Business School. All in all, the 7th annual sports meet ATHLEEMA 2019 turned out to be a huge success and left behind a trail of great memories and achievements for students to cherish for a long time. Address: Plot A2, Sec-125, Noida-201303, (Delhi NCR) India.